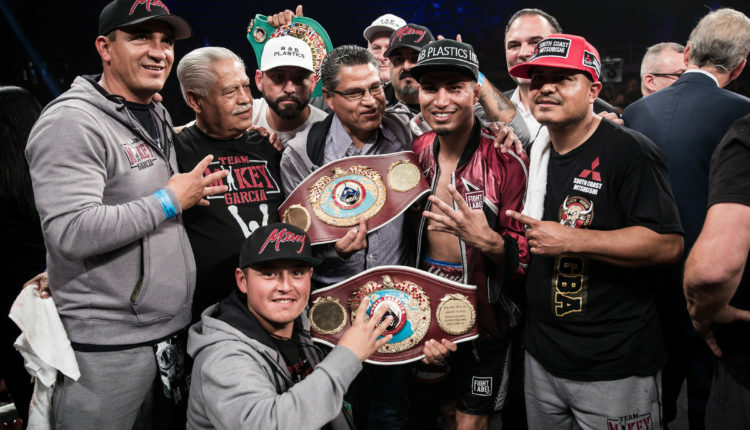 Following Mikey Garcia’s unification of the WBC and IBF Lightweight Titles back in late July, the options available for one of boxing’s pound-for-pound best are endless. 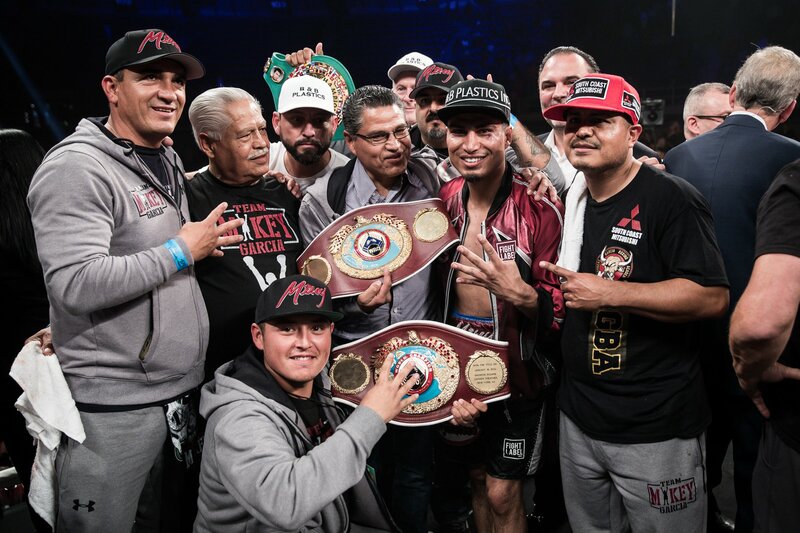 Garcia has teased moving up in weight once more and gaining a title in a fifth weight class, as there have been discussions of possible showdowns with the likes of Manny Pacquiao and Errol Spence Jr.
Mikey’s brother, Robert, says a fight with Spence may not happen until next year. “As of right now Mikey’s still looking forward to that fight and looking into that fight,” Robert Garcia said. “To my understanding, it may not happen this year so that’s probably something that will benefit us in training for that fight. It gives us a little more time, maybe one fight before that, maybe two fights before that. That’s probably the ideal thing. As of right now we don’t know exactly what’s going to happen next year for Mikey. We know what he was pushing for that Errol Spence fight but I don’t think it’ll happen this year so that kind of works in our favor. There’s also the potential that Garcia faces WBA Lightweight Champion Vasyl Lomachenko, which is also the fight that Robert prefers his younger brother take. “Oh definitely, I’ve always said that would be my first choice, Lomachenko,” Robert Garcia said. “He’s a lightweight, Mikey’s a lightweight right now and Lomachenko’s pound-for-pound one of the best — if not the best — so that’s the ideal fight to make. Plus, it’s a huge fight. People in boxing and people that don’t know much about boxing still would be excited about the fight because everybody knows who Mikey is and everybody obviously knows who Lomachenko is because of all that he does in the ring. Everybody is talking about him. It would probably be the biggest fight for Mikey. Lomachenko is expected to compete in a unification bout this December with WBO Champion Jose Pedraza.